I have been looking ahead and wanted to whet your whistle. – I have looked over the Keeneland card and came up with some free selections. But, you’ll want to download the Winning Ponies E-Z Win Forms to find the maximum value. – Sit back and get ready for some handicapping as the action is just around the corner. Race #1 – #8 – Brerry = Adam Beschizza in the saddle and he made a strong bid in his first race over the track this meet and wheels right back. – There must have been something they liked and his 2nd place finish is strong. Race #3 – #2 – Royal Charlotte = This daughter of Cairo Prince won her debut in fine fashion at Gulfstream. Jose Ortiz for the Chad Brown and they score at a 25% win clip as a team. Race #5 – #4 – Sinwaan = 2nd timer for the Kiaran Mclaughlin barn and they win 23% on this move. Luis Saez is the pilot and she came off a bit slow going a little wide. – This may be graduation day. Race #6 – #7 – What’sontheagenda = Ships in from Santa Anita and the left coast runners have been doing well this meet. Cuts back in distance and Jose Ortiz is the reinsman. Race #8 – #8 – Amandine = California shipper for trainer Jeff Mullins. She exits the G2 Buena Vista and showed promise. The drop in class may do the trick and coming off a 55-day layoff brings fresh legs to post. – Joel Rosario in the driver’s seat. Race #9 – #2 – Blue Prize = Daughter of Pure Prize been away for 5 months since the Breeders’ Cup and she has a bevy of works over the Keeneland surface. She cuts back in distance and drops in class. – This looks like a solid prep for things to come. Race #10 – #7 – The Last Zip = Son of City Zip for Mike Stidham and they are stretching out from 5 1/2f – 1 mile. – The barn wins 26% going a route for the first time. Stidham is having a great meet winning 43% and Joel Rosario is winning 38%. – Sounds like a good team. Be sure to download your Winning Ponies E-Z Win Forms to get the best view on how the race will take shape. - Best of luck from your friends at Winning Ponies! I surely do and it brings a smile from ear-to-ear. – Every time I think about it makes me yearn for days gone by. – I thought I had done quite a bit until I experienced my first. I was doing a radio show and had my credentials for Churchill Downs. – I studied all night and had my bets ready in advance. – The radio show stuff was ready all week. It was full of quotes and quips and chock packed full of history. I couldn’t sleep and ready to roll to the track. I stepped into the elevator and went to the old press box. Most would have thought “old” meant broke down and shanty. – When I stepped off into the bright room I walked past pictures of every racing scribe since the first Derby. I couldn’t believe my eyes and boy had I arrived. There was a huge buffet and it was 10 feet from where I did the show. Right next was a bevy of clerks ready to do battle with the day. It was incredible and I thought it couldn’t get any better. – That was until I walked outside and we were right on the finish line or as close as possible. The sun was bright and the day was perfect. I was looking six floors down at the track and had everything I could ever ask for. – As the producer was setting up I looked around and saw radio stations from around the world set up for a live show of the Derby. – When “Hammerin” Hank Goldberg came down the steps and had his set up right across mine I knew I had arrived. – Meeting him was a mixed feeling as he acted a little snobby. – He said; “they won’t beat the Europeans today and you can toss your tickets if bet against them.” – After I had the winner and it wasn’t from Europe, I did let Hank know after my fourth beer. If you’ve never been. Go – I guess it’s easy to say but on one day a year everyone is a horse racing fan. – You’ve never heard anything until you hear 100,000 voices singing my “Old Kentucky Home.” Looked upon the glorious roses while sipping on a traditional julep. – Watching a beautiful animal provide entertainment for the day. – Yeah, there’s nothing like the Derby. – I won’t be making the trek this year but the future looks bright ahead. Best of luck from Winning Ponies! Start reading who is coming to Churchill and when. Always good to arrive a little early and get a couple moves over the deep track. – I always give a big nod to those who get two works and one is very nice. Any late equipment or shoe changes scares my bankroll – If you need to change going into battle this far down the line you’re guessing. Toss out every “curse” or superstition. – This has been one of the most equal fields in years. – I’m looking for a (9-2) win pool favorite. There will be a few jocks with multiple chances on to ride – At this level it doesn’t mean that much. I’ll take Javier Castellano, Jose Ortiz, or Mike Smith. – These decisions come from great communication with the owner and trainer about who fits best. – Somebody will be happy and someone will be kicking themselves for not going the other way. Speaking of jockeys – Toss out the rider who has never been this far. – Oh, I’m sure you’re thinking about Stewart Elliot who did a fabulous job, but this is a riders race. One who knows the track and been on the big stage. – I’ll go down with a top money rider anyday. Their percentage is better and they make few mistakes. Go back and watch as many replays as possible – This will be worth it’s weight in gold. Don’t start sweating the post draw – There is a curse about coming of the #1 hole. Somebody better go back in history and take away Bill Shoemaker’s win on Ferdinand as the oldest rider to win the Derby. – Good riders find a way to save ground, get away good, and know just when to push the button. Roadster = A son of Quality Road for Bob Baffert. Quality Road would have been the favorite in 2010 if not for a quarter crack. – He is a light nimble runner who looks to be coming into his own at the perfect time. Code of Honor = A son of first-crop Noble Mission for the Shug McGaughey barn. – Anytime you see a “Shug” runner you have to give extra consideration. – He can go long and will give them fits if all goes well. Win Win Win = Has a late kick that can be effective for a hot pace – I’m watching closely how he takes to the track and feels in the next 18 days. Leave your swim shorts at home. – This pool is all about money on one of the best days of the year to bet. – Grab 4 to 5 friends, and put up some money. It is time to pool our money and take a good shot at the brass ring. Everyone tosses in $100. There are 5 players and the bankroll is now a sweet $500. – Everyone toss their name in a hat and draw out two names. – These are the handicappers for the group and with only five gamblers you have a pretty good shot at being chosen. The bettors make all decisions for the group and no arguments. This kinda’ dampens the idea of playing together. The group makes a big pick-four and solid bet on the Derby with exotics. – This ensures you can enjoy the watching and making some solo bets, and no matter you have group bets on the biggest races. – The p-4 usually has a HUGE guarantee and that means you will get paid if you hit the big wager. – By making a big bet on the Derby your group is not out. – There is nothing like winning the big race of the year. I have known mutuel clerks who all toss up five bucks and make a nice Derby bet. – There is a group of older gents who make it $500 and go for it! – There is nothing like winning with your group and you’ll have one helluva’ story until next year either way. You can make some side bets early in the card, but if you bet against the group keep it under your breath. – Playing the early races allows you to get your bankroll back and then some, but winning with your group is a great way to enjoy the day. If you’re new to the game, or a seasoned pro. There is nothing better than downloading the Winning Ponies E-Z Win Forms as they are always dialed in on the marquee days. – Best of luck from Winning Ponies! We are weeks away from the beautiful roses, swirling humanity and thundering hooves. Yep, it’s almost Derby time! As we get closer there is nothing better than taking stock in our handicapping checklist. The Happy Horseplayer wants to share his many years of handicapping to make your Oaks and Derby a winner. 1. – Don’t bet over your head just because it says G2 or G1. 3.- Start reading; The Downey Report, The Paulick Report, The Bloodhorse, and Equidaily.- Keep a close eye on barn notes from the Churchill Downs site. 4. – The final two weeks you should pay close attention to final works and how they come back. 5. – Know the racing menu – Which races offer a guaranteed pick-three or pick-four. 6. If you don’t play a pick-six, don’t start on the toughest day of the year. 7. The real value is found in the Derby exacta pool – Make sure you make a nice $1 exacta on the longshots you love. 8. – Don’t be afraid to make a solid place or show wager – (8-1) for the place and (20-1) for the show will pay much more than you ever thought. Too many times we take for granted the winner at hand. – You know, when you start talking jib-jab about him only paying $6 and you should have looked for the 20-1 shot. – Well, he didn’t win and your horse did. – What more do you want? I have a good buddy you’ll hear each and every Thursday on the Winning Ponies Internet Show. ” If you found $6 on the floor wouldn’t you bend down and pick it up?” – You bet! – He has been saying this for years and it is about the players who won’t take that for-sure runner that looks like gold. He and I teamed up for six of his 33 years of doing TV handicapping. – Players would walk past the set and say those wonderful words. ” Well, he only paid $6.” – Who cares. I’ll take it. Normal players will take the easy winner versus the longshot loser. – If you can make a profit and move onto the next race that is sweet money! – Taking a short price when you’ve come up with no other feelings in the race is no crime. – The silly thing is to try and beat them. Take what you can get. Now, I’m not saying bet the chalk every race but sometimes there is no other move. – Not paying attention can beat you every time. – There was a big-time handicapping contest and my buddy was doing well. – The rule of thumb is to stay away from the chalk especially when you have a nice lead like he did. – But in this short field race at Golden Gate, he played a 2-1 shot and told me his bet. – ” What are you doing? Everyone has the 20-1 or at least the 7-1.” – When his horse drew off by daylight and paid $6.20 I never really gave it any thought. – When he won by $5.20, that 2-1 shot won him the contest ( along with some nice price runners). He told me he couldn’t see any other move and why just toss the possible winner? – He was right. As players, we need to learn to take a small price runner that looks like a lock and go after the trifecta or make the pick-four into a pick-three. – I know some bettors who would rather toss them and shoot for the moon even when they have that glaring sparkle of a winner. – The next time you are about to skip the logical winner just due to price. Re-think the move. – Your friends may call you a “chalk-eating-weasel” as they litter the floor with 30-1 tickets. That’s okay. You can just turn the page and move on to the next a race a few dollars to the good. – Take what you can get and be thankful. – The game is long and anytime your bankroll can use a little bump. Go ahead and pull the trigger. – Best of luck from Winning Ponies! It was one question I didn’t see coming. – ” Why do you think there are so few women playing the races?” – They play poker, blackjack, slots, video poker, and a dozen forms of games. – Why not the ponies? – For the first time in a long time, I was in a lip-locked hush. She was a real lady. Not a pretender, but a solid player. She didn’t want free programs, dinners, or a free drink. She just wanted a moment of my time as she watched me walk the room taking the temperature of the big players. – “Look at how you’re handling the players. How many ladies did you approach? – She lost $8,000, and the older lady in the corner is good for $3,000 a day if not more. – How did you miss this? – You’re pretty good at what you do, but you missed two nice players you could have grown into bigger. “I don’t know. What did I do wrong?” – You grew up learning the game with your dad, grandpa, or other men. No women. They went along for the ride and weren’t viewed as gamblers. – That was the old way. If you want to keep with the times you’ll have to dig a bit deeper as they float under the radar. They feel the perks you give are for the boys and you’ll look right past them. – She was right. Why did I look past the lady players? – We spoke, I was cordial, and made sure they always had the table they enjoyed. – But I missed the biggest part. I had grown up watching men play the ponies. The place packed to the hilt with wafting smoke of cigars and loud talking. – Back in the day women were along for dinner, the evening, and just to watch. Horse racing left plenty of money on the table. – The men were there and the waves of competition hadn’t arrived. Women were just overlooked. – What a shame. Some of the best gamblers I have watched over the years at casinos are women. They are patient, no ego, and love to be overlooked. That gives them the edge that every gambler would kill for. – Did casinos see into the future or were they light years ahead of one of the oldest games around? I started immediately. 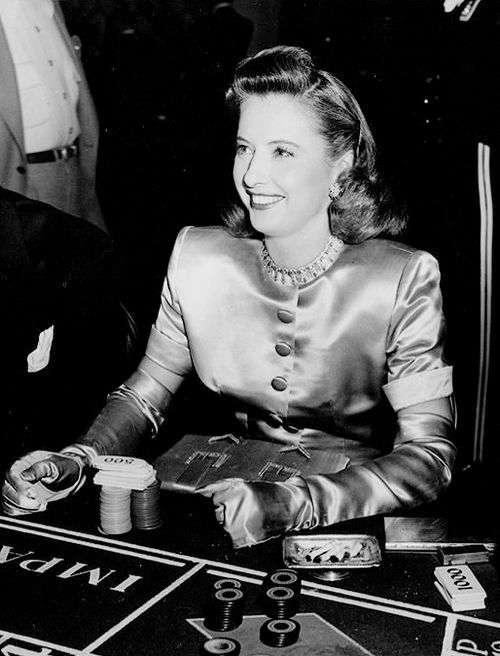 – I had ladies-only handicapping seminars with great giveaways. We had drawings for Las Vegas and betting voucher giveaways. – Start off at 101 and each month progress to the next level – Ladies started playing but we were so far in the rears it was going to take years to catch up. – This took place until competition squeezed the profits to nothing. Tracks couldn’t target market and invest in players. – This is the beginning of the end. If I ever get the opportunity to take another shot. You can bet dollars to donuts I’ll target many segments of the player base. – No one will be left behind, but it’s going to be a long road. – But if you stand back and watch you’ll see the difference pretty quick. – In reverse of what casinos did to other venues that offered gambling, I want to look even closer. – It can pay off and not only grow new horseplayers but to build guests who will see your venue as an entertainment destination with many forms of gambling. – The playground still has room to grow and for this gaming employee, the sky is the limit. There’s a silence before a thought becomes a formulated idea. It smolders like a cigarette hanging from the edge of an ashtray. – You start feeling good, and before you know it’s yours. – Those were the thoughts from an older gambler I met along the way. – He’s been gone longer than I knew him, but the little thoughts he passed along the way stuck in the back of my mind for years. He dressed like a fella’ fresh in from work. – The kinda job in a factory or on a dock. – Flannel shirt, faded work pants and two packs of Camel non-filters. – Quiet was his tone, and if he was speaking and you had to stand close to hear the wisdom. Always alone and never one to engage others. He was happy keeping to himself and smoking them one by one. He never spoke about personal things for the first few years. – Simplicity and quiet. His exercise was going up to the windows about once every 15 minutes. Just another face in the crowd, but one who grew to be familiar. – We started with a word at a time and before I knew it we were sitting talking about things. This was the beginning of being surprised. “Tom” was a well-traveled man. He lived in Miami, New York, Los Angeles, Nashville, and other places between. – I would have bet he was a railroader by his look but when he told me he was a studio musician I would have lost that bet for sure. “I’ve played with everyone. You name em’ and I’ve sat in. Piano, guitar, bass. – I even wrote some music over the years.” – Talk about a surprise. He was cool with a patience that was rare. Smoking, drinking, and gambling was all I needed, and there wasn’t a town where I didn’t know a hundred faces. – Cincy was fine for me as it had a ball team and two race tracks within 20 miles from my front door. – I fiddled around and would play with a friend, but my music was limited to playing until the whiskey was gone at night. – Reading the Form and playing cards a few nights a week was like a hobo’s dream come true. Tom started showing up less and less. – He even stopped smoking. – I assumed this quiet man was sick as his talking slowed and eventually stopped – Finally, he was gone. No note, big fanfare, or hullaballoo. He just faded like the pages of an old Daily Racing Form or music which faded away softly. – For months, I would glance out of the corner of my eye and hope to see that flannel shirt and a cigarette hanging from the corner of his mouth. – It was gone like the smoke from a final cigarette or a note from the last song. – I was glad to have made his acquaintance and enjoyed knowing this traveling man. – Thanks for stopping by this way. We all have a list we keep in our back pocket. You know, the inner-sanctum rules that we quietly live our gambling lives. – But here are three more you may want to add before pulling the trigger on your next wager. When you hear the words bouncing around in your brain “to just get even.” – Get up and leave. It’s just not your day and there will be others. Too many gamblers find themselves in too deep and attempt to try and bring their bankroll back to even. – If you think about it, you can see the poor thinking as a drowning man will reach for anything that looks like a life raft. – This is chasing money and there is no good end to this method. – Get up, and come back another day. It may sting a little bit but in the long run, it will save you money. The old saying of “play with house money” has always applied. – This means when you are ahead and find your best bet go for it. After all, you are playing with house money and it’s a free try at jacking up your bankroll. – But too many horseplayers find themselves down and then reach in their jeans and pull out more greens. This is a sure-fire recipe to going tapped. If you think picking winners is tough, try doing it with a 1,000 lb gorilla on your shoulders. That is playing with scared money. – You are not your best and you start second-guessing yourself by the minute. You jump off the (8-1) shot and bet double on the (2-1) runner. – The second-guessing starts to beat you down and find yourself doubling down just trying to find any winner. This is a sure-fire method of losing. – Usually, you borrow a few bucks to help you get started and that sound you hear is the handle of the toilet being pushed as the money sails down the drain. – Stop playing as soon as the feelings enter your head.